Across over 250 years, it has remained a place of stunning natural beauty as well as a vibrant cultural community. 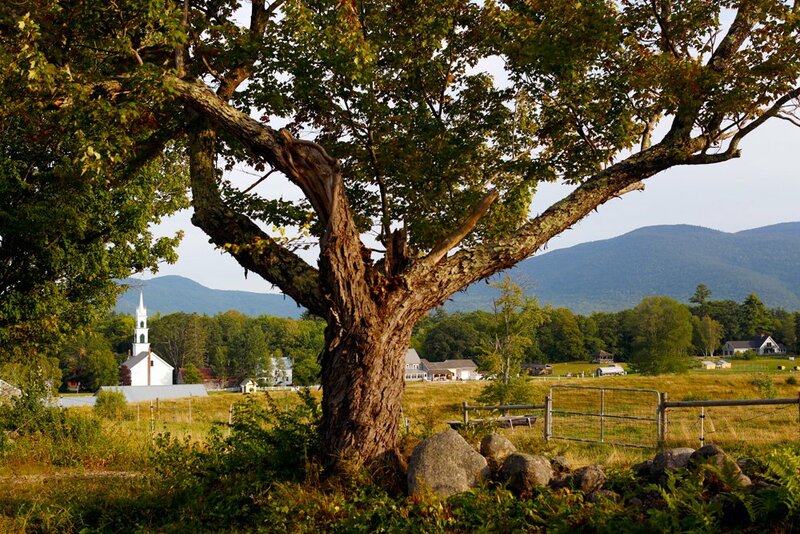 Our story began in 1766, when Tamworth was granted a charter by England’s King George III, in the name of New Hampshire governor Benning Wentworth. Early settlers began to build homesteads and planted the first crops — nearly all were farmers, growing corn, wheat, and rye. Gristmills soon began turning, powered by the town’s rivers and streams. Despite the idyllic landscape, life was not easy. In the first half of the 19th century alone, citizens of Tamworth endured a smallpox epidemic, famines resulting from “cold years”, the Siege of Wolves, and even a “Year Without A Summer”, in which snow fell during every month of 1816. 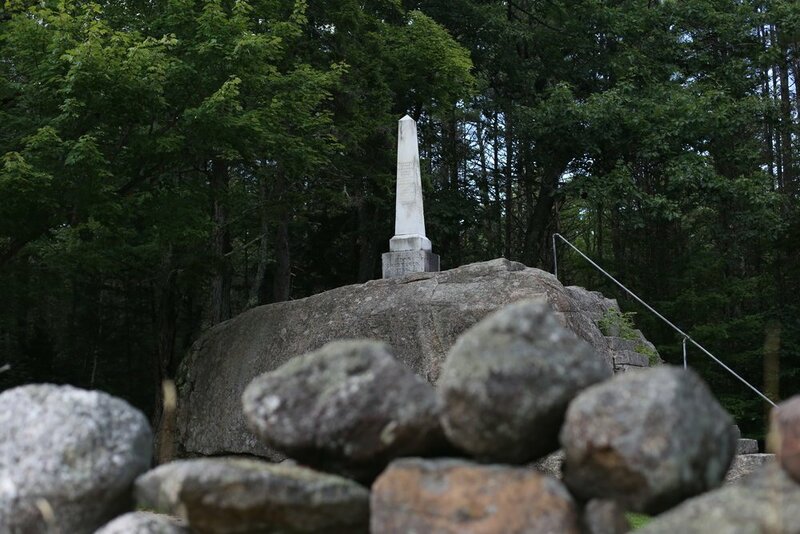 Through this hardship, however, grew industry: saw mills, shingle mills, and turning mills popped up throughout the town, and around them the villages of South Tamworth, Whittier, Chocorua, Wonalancet, and Tamworth formed, with houses, schools, and churches. Tradesmen and artisans — including loggers, backsmiths, millers, shoemakers, coopers, seamstresses, bakers, and weavers — all flourished. The old Tamworth General Store was built in 1826 – the same year the American Lyceum movement began. Thoreau passed by here in 1858, stayed at a nearby inn, possibly stepped through the doors of what is now Tamworth Lyceum. Tamworth began its longstanding reputation as a summer getaway in the post-Civil War era, inviting visitors to local inns and boarding houses to enjoy the mountains, lakes, rivers and trails as well as a taste of small town, rural living. Entertainment was brought in as well, with everything from baseball teams to circuses to elephants all bringing their tours to Tamworth. For many artists, writers, and thinkers — including E. E. Cummings, Grover Cleveland, and Henry James — the town provided solace far from the hustle and bustle of urban life. Cleveland’s son, Francis, founded a Tamworth landmark, the Barnstormers Theatre. The oldest continuously running professional theatre in the country, the Barnstormers produces a variety of comedies, musicals, and other performances each summer. Tamworth’s legacy endures through to the present day. 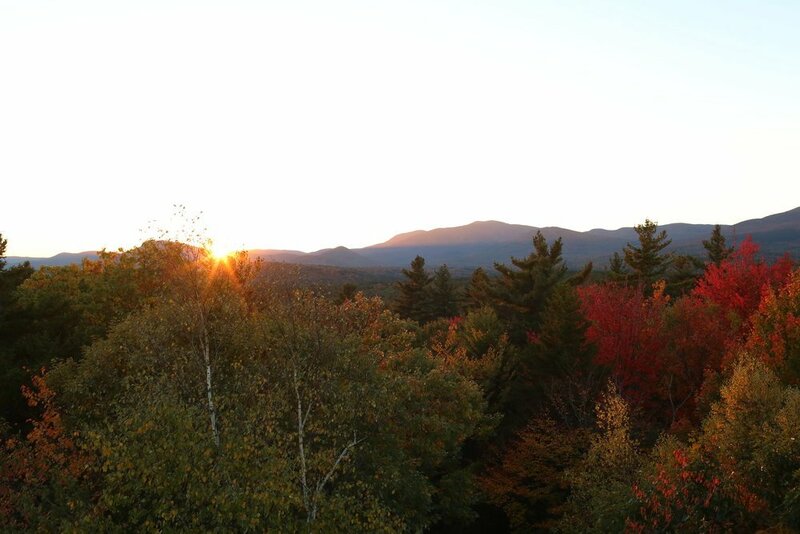 It remains a popular summer retreat for individuals from across New England, drawn by its historic charm, tight-knit community, and beautiful natural resources, including Mount Chocorua (the most photographed mountain in the country). 1766 — King George III of England grants charter to Lieut. John Webster in the name of Benning Wentworth. 1776 — Captain John Dudley begins laying roads to Tamworth which would eventually become Routes 16 and 25. 1792 — Parson Samuel Hidden ordained at Ordination Rock; Congregational Church is formalized. 1793 — Tamworth Meetinghouse (now Congregational Church) erected. 1796 — Tamworth Social Library established. 1813 — “Spotted fever” (smallpox) epidemic. 1816 — The Cold Year begins. Snow falls every month, causing the death of crops and mass starvation throughout New England. 1826 — “Typhus fever” (typhoid) epidemic. 1830 — The Siege of Wolves on Marston Hill, now Great Hill. Nov. 14-16, 600 men engaged against “large number” of wolves. Gen. Quimby of Sandwich commanded the force. Dead wolves were brought to town for a celebratory feast. 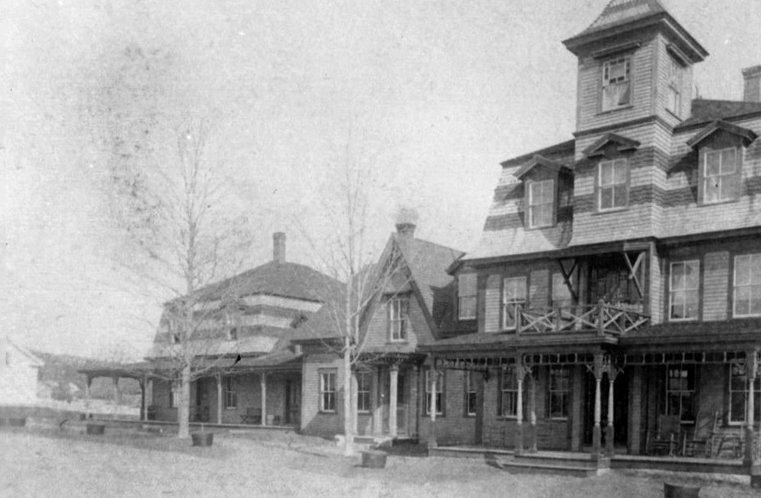 1833 – Tamworth Inn opens, providing refuge to traveling businessmen and affluent vacations making their way from Boston to the White Mountains of New Hampshire. 1840 — Carroll County is established. Before that Tamworth was part of Strafford County. 1858 — Henry David Thoreau passes through Tamworth, writes about it in his journal. 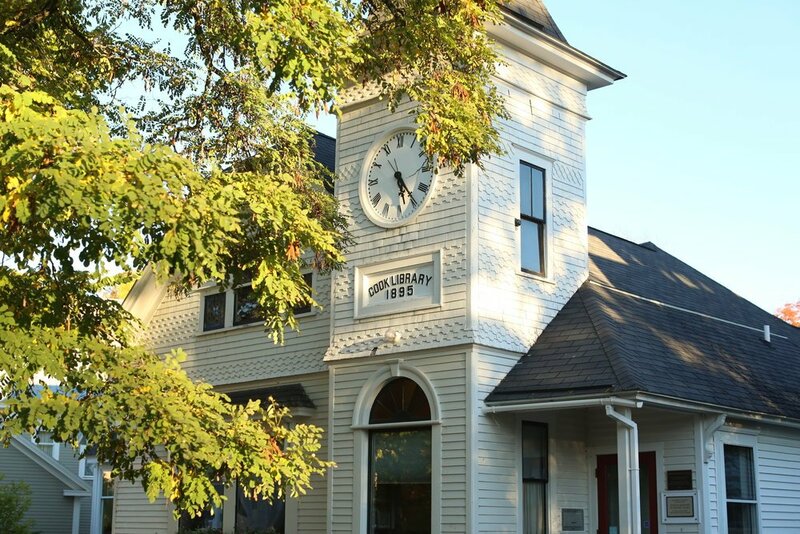 1888 — Chocorua Library begins operation. 1890 — “Tamworth Iron Works” renamed “Chocorua”. 1891 — Chocorua Peak House erected; served as hotel and rest stop for mountain climbers until it was blown off the mountain in 1915. 1895 — Tamworth Public Library (Cook Library) established. 1917 — Arthur Walden crosses a farm dog with a husky at Wonalancet Farm. A pup from that litter is named Chinook, and goes on to sire a whole new breed of sled dog. 1922 — Ordination Rock is struck by lightning and broken. 1928 — Chinook serves as lead dog in Admiral Byrd’s first expedition to Antarctica. He does not return from the trip, but it serves to cement his place in dogsledding history. 1929 — Veteran’s Memorial erected in Tamworth Village. 1930 — The Chinook Kennels purchased and moved to current location by Milton & Eva B. “Short” Seeley. The Kennels were registered as a National Historic Landmark in 1988. 1931 — The Barnstormers Theatre is started by Francis Cleveland, son of President Grover Cleveland, and his wife Alice. 1933 — President Franklin D. Roosevelt starts the Civilian Conservation Corps (CCC) with the aim of creating jobs and battling natural erosion and degradation throughout the country. The CCC formed a camp in Tamworth in May of that year, and its workers were responsible for building many of the fire ponds and trails that still exist today. 1935 — Great Hill Firetower erected. Registered as a National Historic Lookout in 2007. 1938 — The Great New England Hurricane. No deaths in Tamworth, but sizeable property damage. 1940 — Two earthquakes hit New Hampshire in December, with a collective magnitude of 5.5 on the Richter scale. Major damage to wells and chimneys. One old farmhouse in Wonalancet was moved roughly 12 inches. Aftershocks occurred over the next several months. 1956 — K. A. Brett school is founded, the first consolidated elementary school in town.